My kids and I went to co-op today and had a nice little surprise. My daughter’s gym class did a scavenger hunt to look for items found in Fall. This was so much fun for all the kids. I decided I wanted to recreate it for use with my other kids ~ but with a twist! I wanted to make an Autumn Nature Hunt Bingo and I ended up making two, which can both be downloaded in the same file. One is slightly “easier” and might be appropriate for younger kids (like Kindergarten and First Graders). 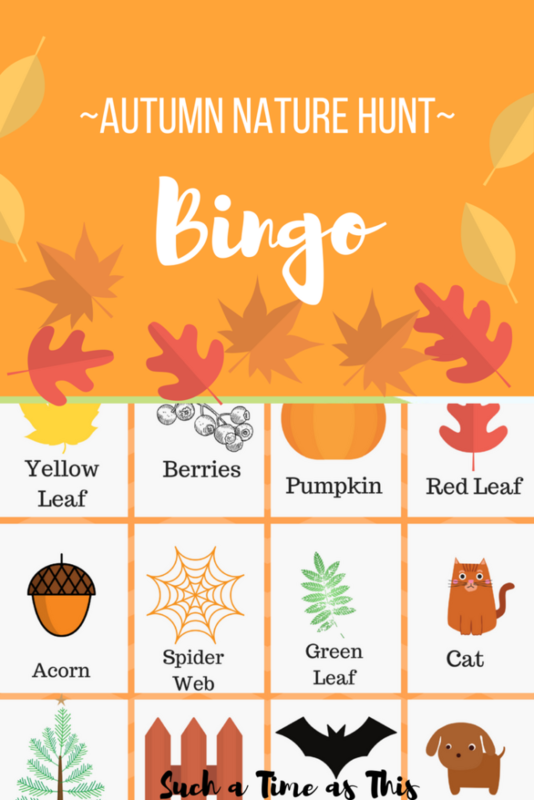 The other nature hunt bingo document can be used for any age, but might be better for grades 4th-7th. This is free to all subscribers! Not a subscriber? this is super cute! we always do an airport scavenger hunt when we travel (I am a travel blogger) we found it better, with two kids, to not have a winner but the goal is to cover the whole sheet and they can help each other. not because we are so anti-winning but more because with an 8 and 6 year old too much fights over competition !!!! 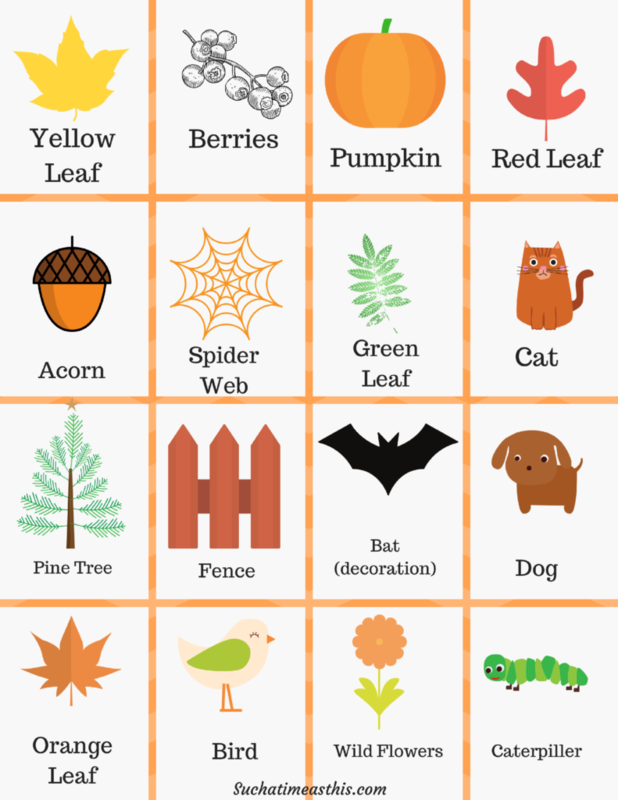 This is such a creative and cute way to kill some time and have something fun for the kids to do to celebrate the fall season! These are great! We love nature walks. My girls are preschoolers, so we’ll definitely go with the easier one. Thanks! My little guy loves to play bingo. We will definitely try this out! What a fun way to really keep kids engaged in exploring the world around them. I really love this idea, thanks for sharing it! This is adorable!! I think both of my boys would love this! How cute this is !! My daughter who is a teacher would love to do this with her students.